It might look like it’s straight out of a sci-fi movie, but this natural wonder is completely real, and fully awe-inspiring. 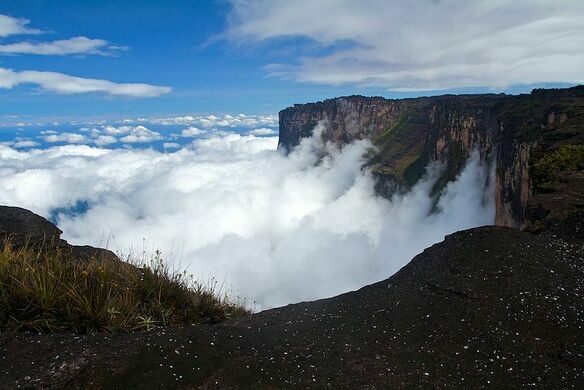 Mount Roraima is surrounded by three different countries (Venezuela, Brazil, and Guyana) whose borderlines intersect on the massive shelf, with all four sides being sheer 400-meter high cliffs. While its cliff walls are only scalable by the most experienced of climbers, there is a path up the mountain’s natural ramp-like path (usually a two-day hike). However, the mountain is worth a visit for more reasons than its impressive cliffs. 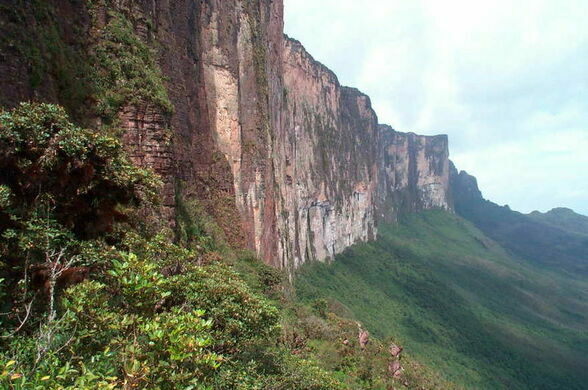 Mount Roraima, part of Venezuela’s 30000-square-kilometer Canaima National Park, is the site of the highest peak of the country of Guyana’s Highland Range. 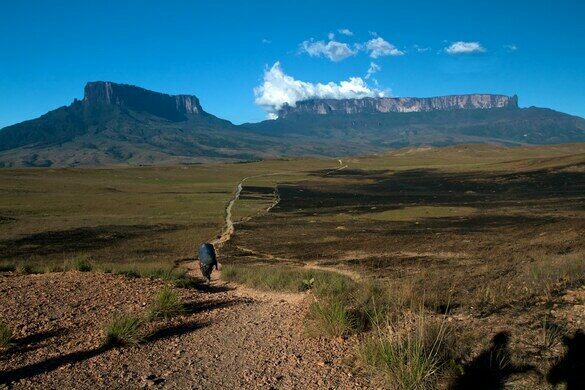 The mountains of this range, including Roraima, are considered to be some of the oldest geological formations known, some dating back to two billion years ago. 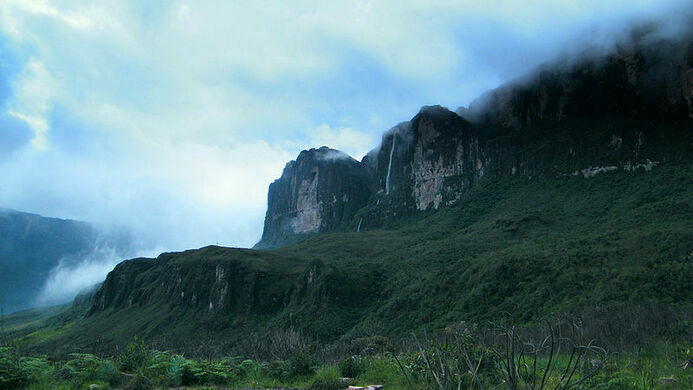 Its near daily rains have also created a unique ecosystem which includes several endemic species, such as a unique carnivorous pitcher plant, and some of the highest waterfalls in the world. Culturally, the mountain has long held significance to the indigenous people of the area and features prominently in their myths and folklore. This remote landscape of jungle and cliffs has inspired the dinosaur infested landscapes of Sir Arthur Conan Doyle’s novel The Lost World, and the dramatic waterfalls dubbed “Paradise Falls” in the 2009 Pixar film Up. A pyramidal marker where the borders of Venezuela, Brazil, and Guyana meet on top of Mount Roraima. The world's widest single drop waterfall, and the two men who legend says went over its edge in a boat. A brick arch is all that remains of this Dutch fort, once a focal point for colonial power struggles in Guyana.